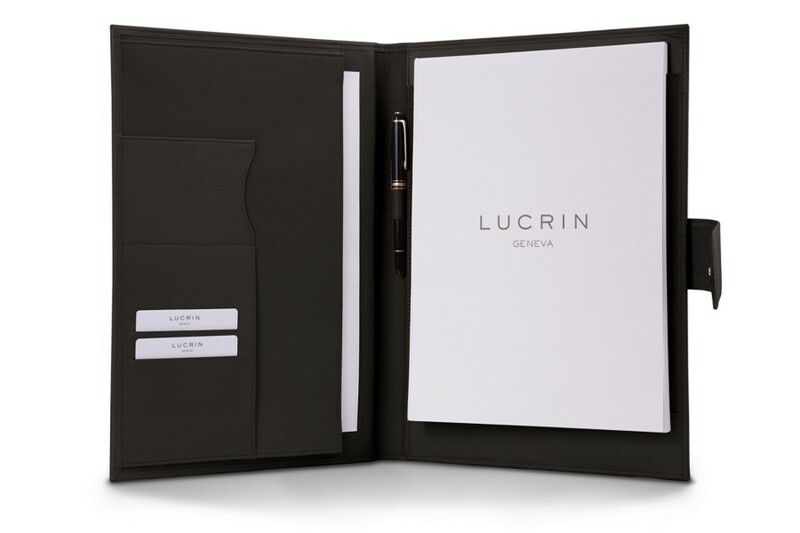 Compendium, A4 format with a loop closure, made in full grain leather. 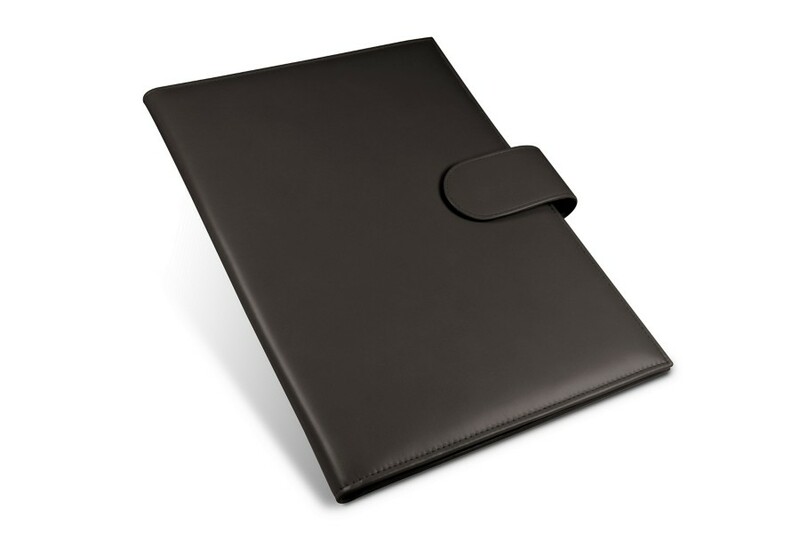 Designed with elegance and practicability in mind, this document holder has room for everything you need to attend your meetings or conferences. 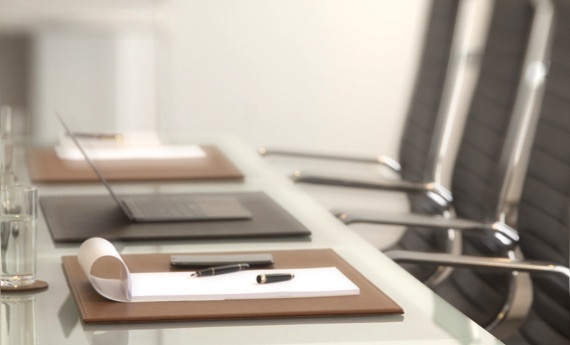 It is your perfect corporate companion. 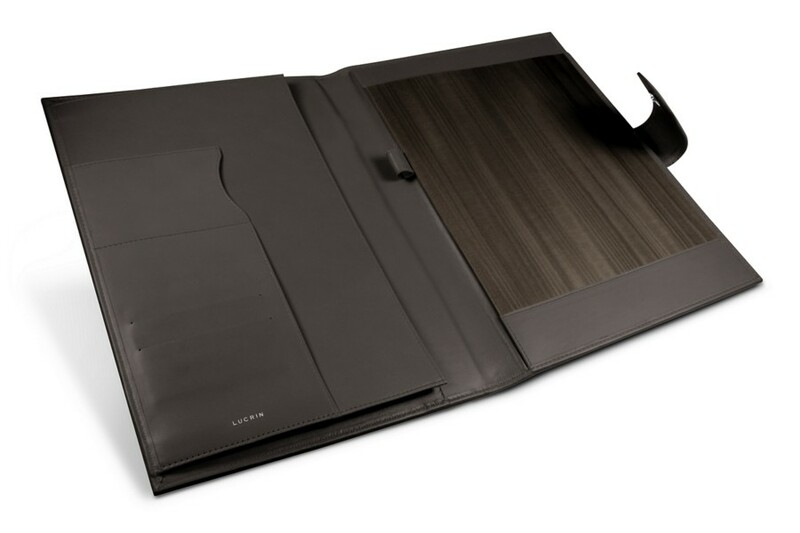 Inside left: - one large pocket with gusset for papers (18 x 30 x 30 cm) or tablet, - 3 pockets for credit and/or business cards (9 x 5.5 cm), - on pen holder in the middle, - one compartment for note pad A4 format. Writing pad, high white 80g. Size closed: 25 x 35 x 2 cm. Size opened: 51 x 35 cm.